→ While the first Yale management degree began in 1976, Yale School of Management (SOM) came into existence in 1994 and started offering its master of business administration (MBA) degree in 1999. → The mission of the SOM is to educate leaders for business and society. 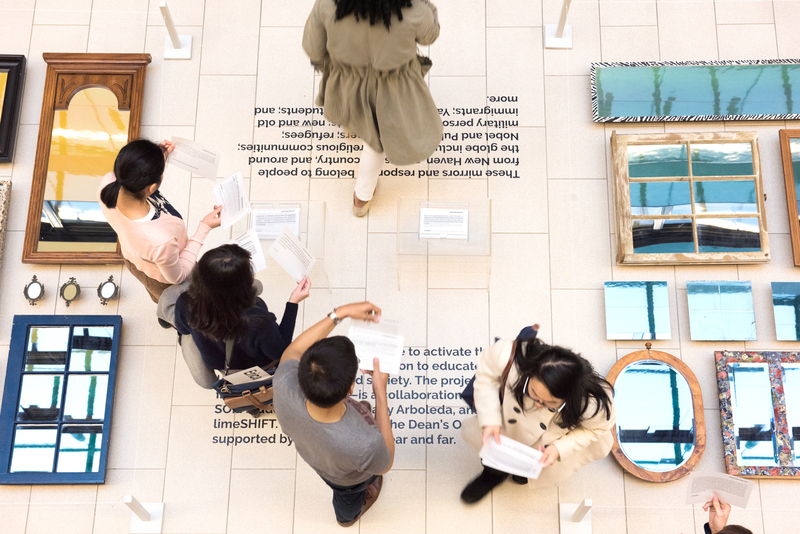 The following three objectives shape how Yale SOM puts its mission into practice: 1. Be the business school that is most integrated with its home university. 2. Be the most distinctively global U.S. business school. 3. Be recognized as the best source of elevated leaders for all sectors and regions. 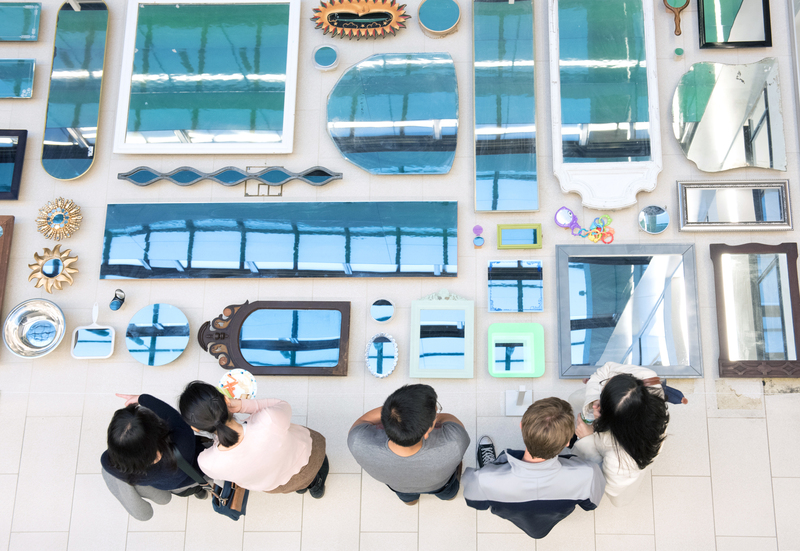 → Considering these objects, two MBA students asked limeSHIFT to activate SOM’s mission through art. → Yale School of Management prides itself on being an institution that prepares leaders to handle the biggest challenges facing business and society today. The current global cultural landscape asks that we reflect on the perspectives of others more than ever before. To do this, we must bathe ourselves in how others see the world around them. By seeing how others see, we can collectively move the world forward in a responsible way. 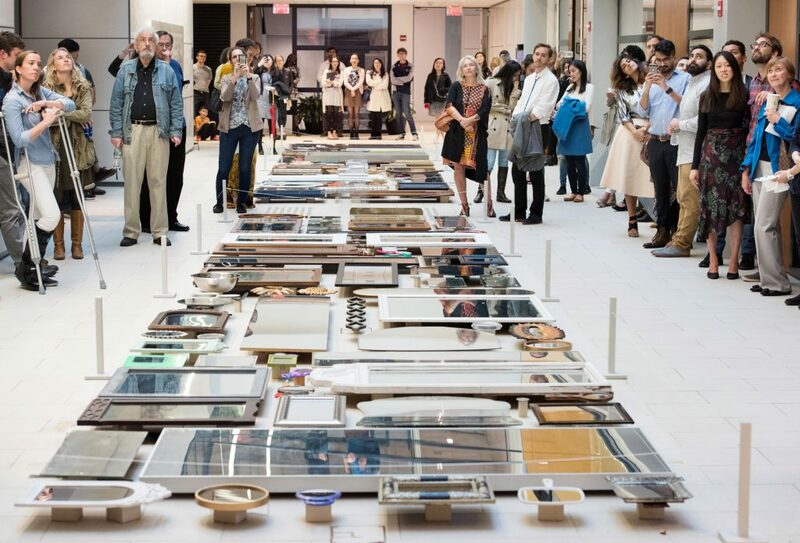 → Espejismo aims to turn Yale SOM into an epicenter of reflection. 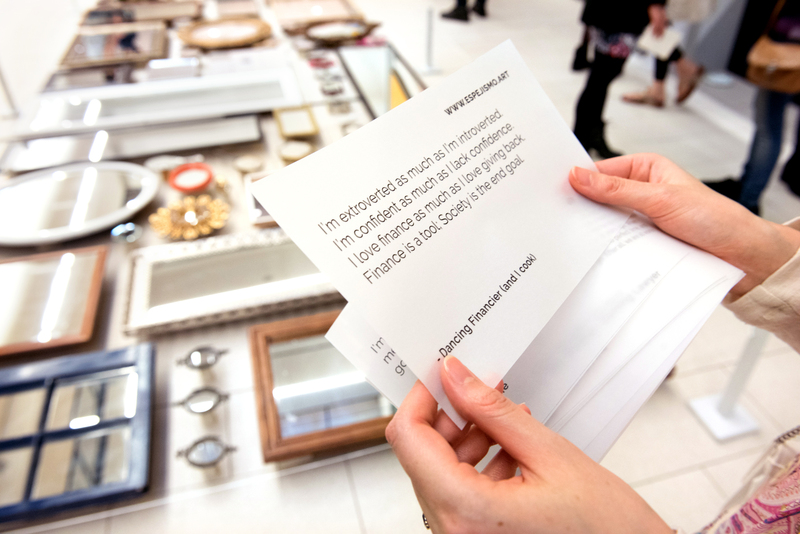 We invite SOM and the surrounding communities to lend us their mirrors for a week. → Taking its cue from the Spanish word for ‘mirage’, Espejismo intention is to make a mirrored net that reflects the sky, as is the case with the desert optical illusion. In the process of interacting with the net, its mirrors will show us a reverse version of ourselves. Every mirror will be a demonstration. Every mirror represents one’s stake in the ground claiming victory. The net will expand in circumference as more and more people appear with mirrors in hand. → Working with a team of 10 SOM student volunteers, we organized an operations and communications plan for the rollout of Espejismo. → Over the course of 3 weeks, our team reached out across campus, to local New Haven organizations and beyond for participation. → 16 local organizations engaged: ACLU-CT, Artspace, Christian Community Action, City Hall, Citywide Youth Coalition, Connecticut Bail Fund, CT ArtList, Leeway, Mothers for Justice, Musical Intervention, My Brother’s Keeper, Nasty Women Connecticut, New Haven Project Fresh Start Reentry Program, The Church of Jesus Christ of Latter Day Saints, Trinity on the Green Church, and Wilbur Cross High School. → 9 Yale schools engaged: College, Divinity, Architecture, Public Health, Jackson Institute, Law, Nursing, Drama, and Art. → 170 mirrors filled Bekenstein Atrium in SOM for one week. 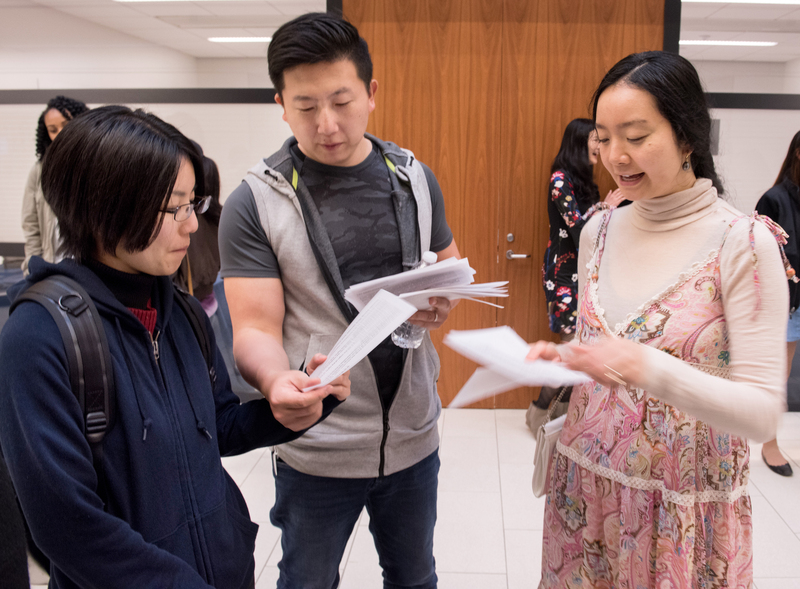 → We organized a Community Celebration event on Thursday, April 27th, where over 100 students, faculty and local community members attended.